The fireplace has been a central element in interior architecture since ancient times. Stone fireplaces, covered with decorated frames with hand-carved statues open themselves on all the most important rooms of villas and palaces. This tradition has come down to us the through the work of the architects and the use of fireplaces made in the traditional Venetian villas. Our proposal of fireplaces originates in this tradition, with stone mantels and fireplace facing carved by hand. 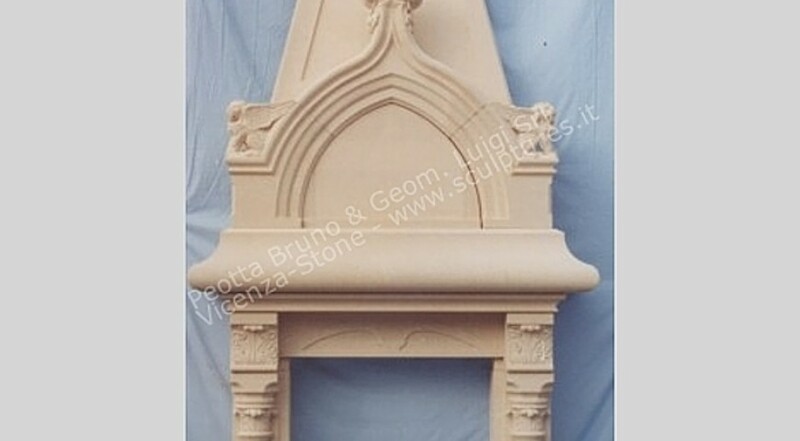 Stone fireplaces, with ancient or modern designs, with motifs and patterns typical of the Renaissance villas. Mantles and fireplaces decorated with floral motifs or allegorical statues.